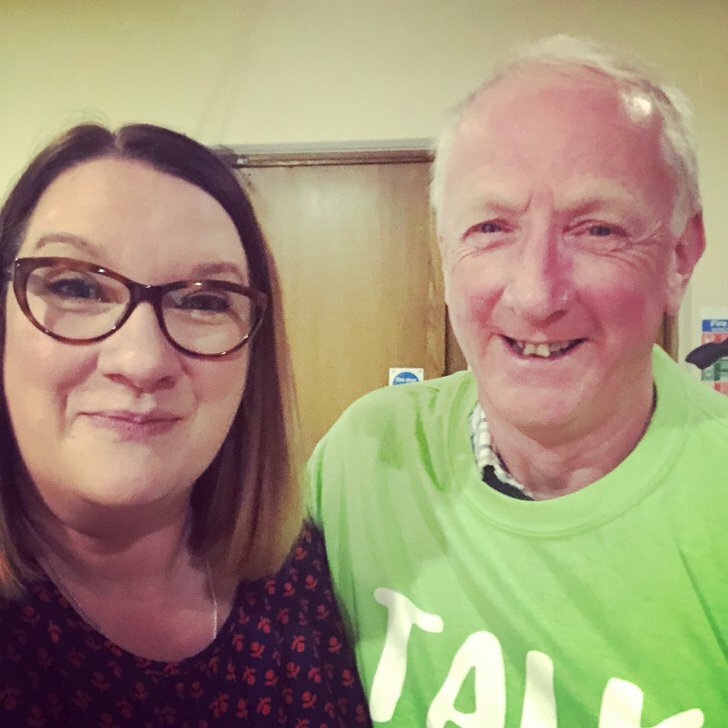 Samaritans volunteers across the UK and Ireland are celebrating after Sarah Millican helped them raise more than £180,000 to support their life-saving work. The comedian and writer has just finished a year-long sell-out tour where she encouraged her audiences to make a donation to the charity through bucket collections after every single show. The result is an astonishing £181,834.63, which will be shared across Samaritans’ 201 branches to help fund the work they do in their local communities, lending a listening ear to anyone who is going through a tough time. “I expected it to be like when you ring the bank with a bit of music and some options. Nope, they answer super-quietly and they just let you talk. And they’re there 24 hours a day every single day of the year for anyone who needs them. 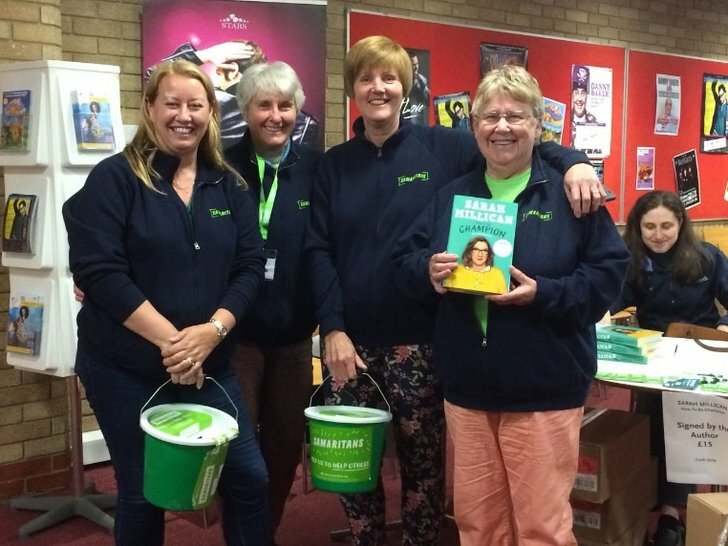 Samaritans CEO Ruth Sutherland gets ready to thank Sarah’s ‘smashing’ audiences for their donations. 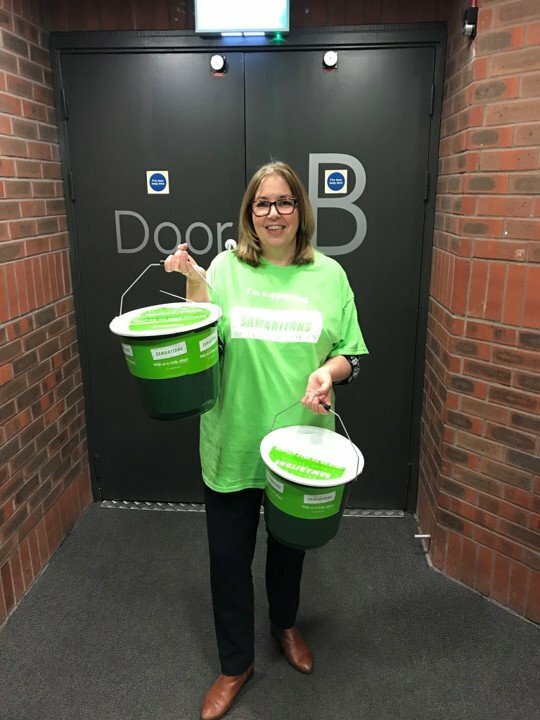 “To Sarah and to every single person who donated after one of her shows, I want to say thank you, not just from Samaritans, but on behalf of future callers to us too. Following Sarah’s sold out tour of the UK and Ireland, she’s taking her Control Enthusiast show overseas in 2019. But not before staging her annual #joinin event on Twitter on Christmas Day when anyone in need of company and light-hearted cheer can just hop on the hashtag – and join in! For more information, please contact [email protected] or 020 8394 8396/07943 809162 (out of hours). You can call Samaritans for free in confidence any time from any phone, even a mobile without credit, on 116 123 (this number will not appear on your phone bill). Or email [email protected], or visit www.samaritans.org to find details of your nearest branch where you can talk to one of our trained volunteer face to face.